At Beauty Of Flowers we are delighted to present this product available for flower delivery in Derby and surrounding areas, or collection from our Derby City Centre store as 'an add on' to any flower order. How about sending someone a lovely fresh fruit basket. 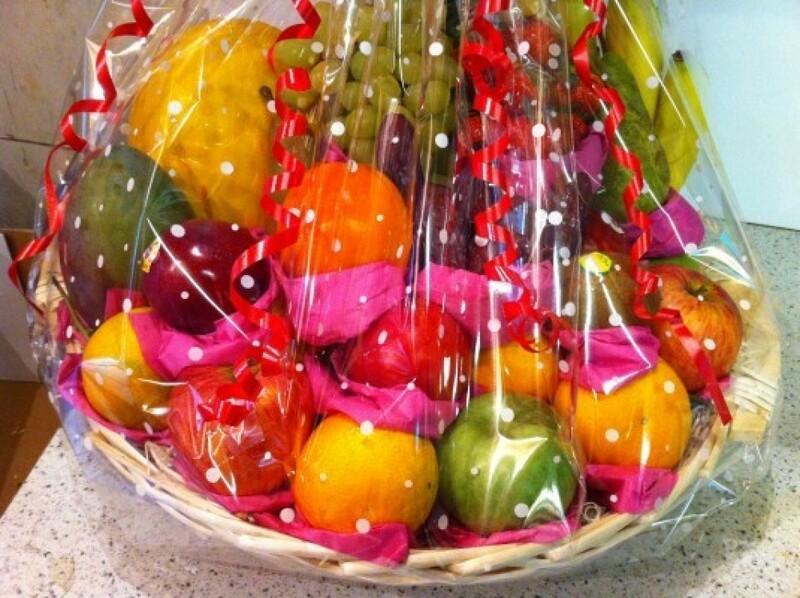 Made with a wonderful mixture of seasonal fruits in a wicker gift basket and gift wrapping. A truly yummy gift. Ideal for someone in hospital or recovering at home. The fruit we used is a standard mixture, but as these are made by hand any special requests can be accommodated. Each of our designs come with the option of a hand written card message for that extra personal touch.